Ralph Northam is rightfully in the news over the 1984 photograph accompanying his medical school yearbook entry, depicting a person in a KKK hood next to another in black face makeup. Other writers have already written much of Virginia governor Ralph Northam’s admitting and later denying that he is one of those two photographed people, his denial that he chose the offending photograph to accompany his yearbook entry and denial that he ever saw the yearbook, and admission that in 1981 he appeared in blackface when portraying Michael Jackson. Yes, if Ralph Northam is in the offending yearbook photo entry or chose the photo, he should resign. Moreover, absent a believable and satisfactory explanation for first admitting he is in the offending photo and the next day denying it (I cannot imagine a satisfactory explanation), he should resign. Even though public opinion involves people thinking as they wish, this Ralph Northam scandal reminds criminal defense lawyers and civil lawyers that rather than keeping open minds and following jury instructions, jurors usually constantly assess evidence, make presumptions, and judge the evidence and/or the people related to the evidence. Here, initially some people talked about Ralph Northam’s offending picture having been published when he was a student, and opining that the student histories of plenty of people would provide much embarrassment at best, and that people can grow over the decades. Then, I read people talking about the incident happening not when Northam was an undergraduate, but when he had already finished medical school. I see other people in disbelief that Northam would not have been informed of the offending photo even if it had been placed mistakenly by the publisher along his yearbook entry. I read people from all ends of the political spectrum demand his resignation. Assessing evidence and making presumptions is part of human nature. 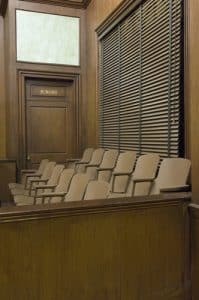 A great trial lawyer accepts and works with that truism to the best of his or her client’s advantage in court, rather than resisting or denying it. Late Supreme Court Justice Hugo Black belonged to the Ku Klux Klan when a lawyer in Alabama. In a turnaround, on the Supreme Court, he supported equal rights and opposed racial injustice. Nonetheless, we know during this Ralph Northam scandal that Hugo Black would not likely have survived on the Supreme Court once his KKK past had been revealed. Times they have changed on that. Regardless of people’s motivations for calling for Ralph Northam’s resignation, may the floodgates that have opened in calling for his resignation lead to opened floodgates to repealing Virginia’s law barring removing war memorials (for instance tributes to confederate soldiers and plaques separately designating “colored” soldiers) from public property, and ultimately to ending racial bigotry. Fairfax criminal lawyer Jonathan L. Katz recognizes how far we are from Martin Luther King’s dream of racial justice, and the need to keep fighting to realize that dream. To discuss your felony, misdemeanor or DUI/DWI case with Jon Katz, please call his staff at 703-383-1100 to schedule a confidential consultation.